WASHINGTON  Another bureaucratic hurdle in the cleanup of the Animas River was broken down Wednesday, with a new interpretation of environmental policy from the Environmental Protection Agency. In a call with news media, U.S. Sen. Mark Udall, D-Colo., announced that the EPA would loosen restrictions on good Samaritans looking to clean up abandoned hard-rock mines throughout the West. Under the new policy, good Samaritan agreements with the EPA can include an extended legal liability time period. Good Samaritans also do not need to provide a Clean Water Act permit during or after a successful cleanup under the new policy. 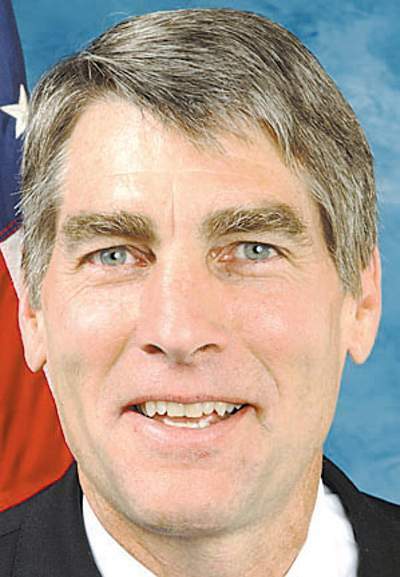 The new policy would help the cleanup of the Red and Bonita mines near Silverton, Udall said. According to the Government Accountability Office, about 7,300 abandoned hard-rock mines are in Colorado. The old mines, like those near Silverton, once were busy with workers during boom times. However, once the bust came, the miners moved out, but the mines were left behind. Since then, toxic drainage has leached from the mines into streams and, eventually, once-pristine rivers such as the Animas. Local groups looking to improve the rivers water quality have attempted to undertake the cleanups themselves but have been met with regulations and liability threats from the EPA. Groups or individuals seeking cleanups often are to referred to as good Samaritans. The EPA defines good Samaritans as anyone who was not a previous owner of the mine because a previous owner would be responsible for the environmental harm in the first place. However, under previous policies, if good Samaritans clean up the mines, they still could be liable for any damage they cause afterward or waste left behind. One of the biggest issues giving good Samaritans pause has been the issue of liability once they begin work on the site, and Ive campaigned on the effort to provide good Samaritans with liability protection so they can get back to work cleaning these toxic mines, Udall said. Udall has worked on good Samaritan legislation since his time in the U.S. House of Representatives. He introduced legislation in the Senate in 2009, but the bill died in committee. Since then, he has turned his efforts away from Capitol Hill and toward the EPA, as well as direct appeals to the White House. Wednesdays new interpretation by the EPA focuses on the Clean Water Act rather than legislation creating a new permit, which Udall proposed. The Clean Water Act notes that in order for good Samaritans to avoid a lawsuit, the site must be completely cleaned. In 2007, the EPA issued a similar memo. However, the interpretation was applicable only to solid waste released after cleanup. In the 2012 memo, good Samaritans can be exempt from what is known as point-source pollution, or polluted water coming out of a mine that carries metal. Aluminum, cadmium, copper, lead, zinc, iron and manganese are among some of the elements floating down the Animas. While the effects havent hit humans directly, the acidic water has damaged aquatic and bird habitat upstream. William Simon, coordinator of the Animas River Stakeholders Group, is among the good Samaritans working to clean the Animas. Simon said although good Samaritans will be exempt under this interpretation of the Clean Water Act, someone must be responsible for the point-source pollution left behind after a cleanup. As soon as you finish the project, the question is, who owns the discharge? he said. He said the current owner of the property could even be the Bureau of Land Management, as well as an individual or company. The Comprehensive Environmental Response Compensation and Liability Act, also called Superfund, was designed in 1980 to clean hazardous contamination sites. According to Simon, cleanup and water treatment that complies with EPA permits for a mine owner could cost $1 million. Cleanup of solid waste, he said, is easier. While the new policy is not a quick fix, both Congress and the good Samaritans will continue to work. Udall said he plans to push in the next session of Congress for more flexibility in how states can used federal funds for cleanup. Leigh Giangreco is an intern for The Durango Herald and a student at American University in Washington, D.C. She can be reached at lgiangreco@durangoherald.com.